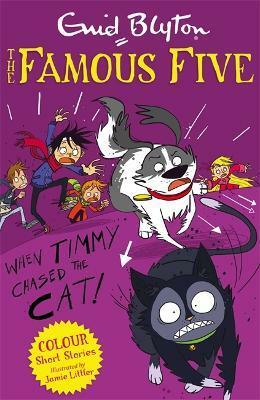 Timmy leads the gang into another thrilling adventure. In addition to the Famous Five novels, Enid Blyton wrote a clutch of short stories based on the characters. These were published in magazines and collected in the Famous Five Short Story Collection (Hodder). For the first time, the complete and original text of When Timmy Chased the Cat (1956) appears in an individual volume, illustrated with brand new colour art by Jamie Littler. Jamie is a St. Albans-based illustrator who graduated from the Arts Institute at Bournemouth in 2008, and won a High Commendation in the Macmillan Children's Book Award in the same year.